In our post titled, “Ebooks vs Emuseums – the Lag of the Book” we wrote, “E MUSEUMS: KA-POW!! The Getty is the most recent example of a museum embracing the New Media technology to make art available to all, and for free. ” The Getty continues this commitment by its most recent release of 5,400 more images as part of its Open Content Program. Art institutions, including the Getty, are redefining the relationship between their collections and their publics. Instead of looking at ourselves primarily as the owners of the objects under our safekeeping. Imagine being able to pore over a sketchbook by Jacques-Louis David (pictured below) in minute detail, to investigate Mayan, Aztec, and Zapotec ruins in Mexico, or to study the costumes and social mores at Versailles. These high-resolution images span centuries and continents, and include artists’ sketchbooks, drawings and watercolors, rare prints from the 16th through the 18th century, 19th-century architectural drawings of cultural landmarks, and early photographs of the Middle East and Asia. 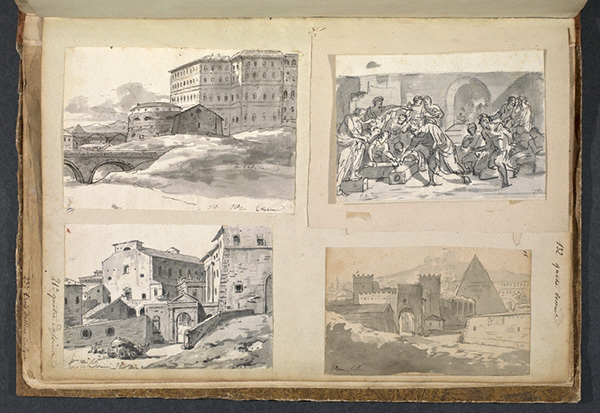 The Getty Research Institute images join approximately 4,600 images from the J. Paul Getty Museum that were released in August through the first phase of the Open Content Program. Immediately after the initial release, traffic to the Getty Search Gateway, the tool that enables access to Open Content images, skyrocketed from an average of 200 visits per day to a peak of 22,000. Within the first two months, there were more than 100,000 downloads of Open Content images, compared to an average of 121 image requests a month prior to Open Content. The Getty plans to continue to add images, until eventually all applicable Getty-owned or public domain images are available, without restrictions, online. We hope the Open Content Program will accelerate this democratization process, enabling not only scholars but also students, artists, designers, and anyone who is interested to work with rare materials to produce new artworks, designs, and erudition that extend beyond the confines of the academy and the museum. Forward-thinking organizations such as the Walters Art Museum, the National Gallery of Art, Yale University, the Los Angeles County Museum of Art, and Harvard University have shown how powerful open access to collections and research can be. 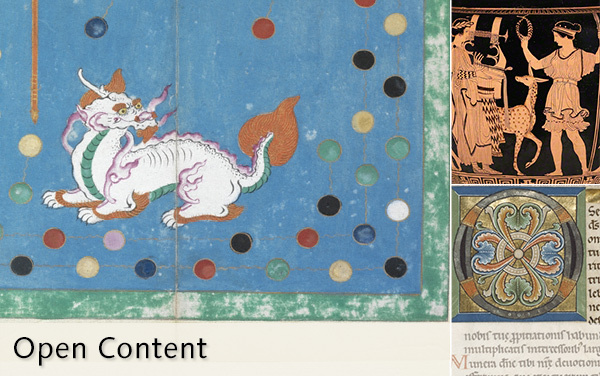 The Open Content Program represents a new commitment to digital openness in the Getty’s work. You can find all of the images in the Open Content Program via Getty Search Gateway. ← GOOGLE GLASS : APPLICABILITY IN FINE ART?